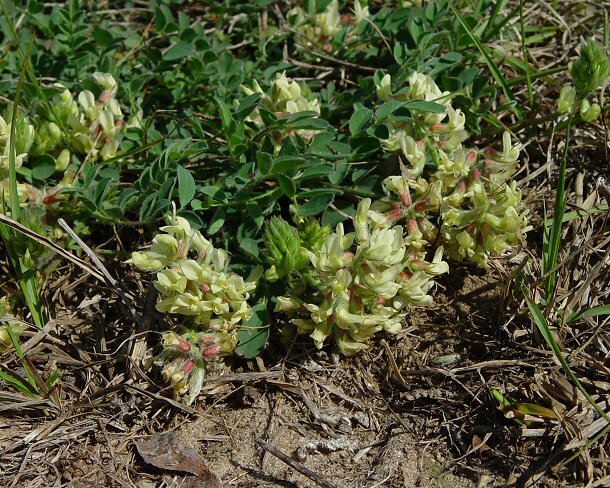 Habitat - Sandhills, sandy open woods. 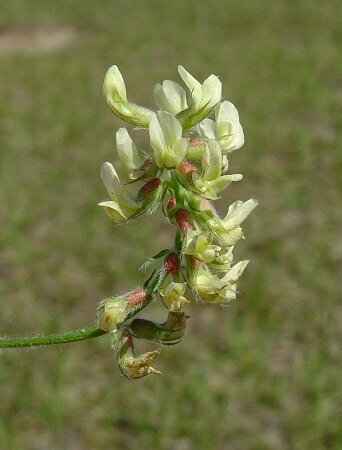 Other information - This low-growing species can be found in the most southern counties of Alabama. 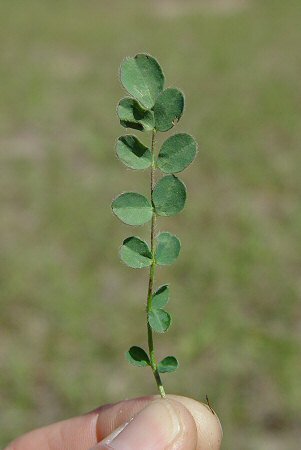 The plant can be identified by its sandhill habitat, villosus, decumbent stems, oval to orbicular leaflets, and creamy-yellow flowers. 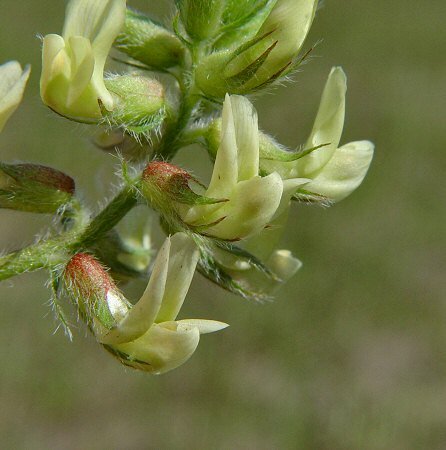 The genus name Astragalus is the ancient Greek name of a leguminous plant. 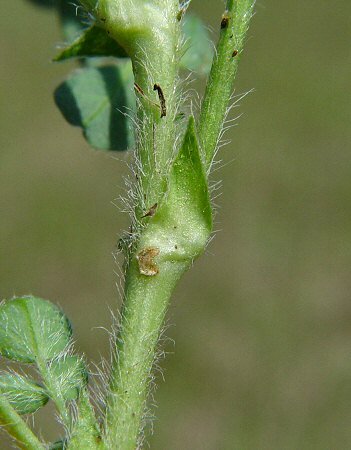 The Greek root "astragal(us)" means "the ankle bone, dice" how it is associated with a plant is not known. 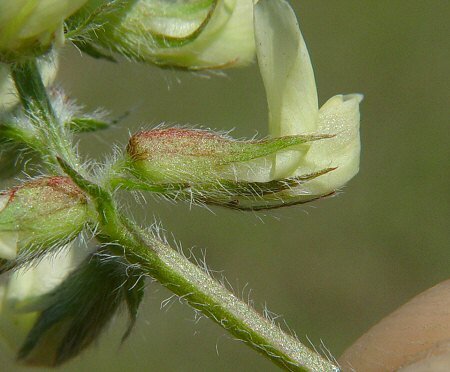 The species epithet villosus derives from the Latin "villos" meaning "hairy" or "vill(us)" meaning "shaggy hair" either referring to most of the parts of this plant. Photographs taken off Hwy off Interstate 75 near Lake City, FL., 3-20-05.